From Terra Alta (180km southwest of Barcelona), the mountainous region of Catalunya, Jordi's passion for vino stems from an early age. As a child, he learned and worked alongside his father, Miguel Miro, in his family's vineyards. 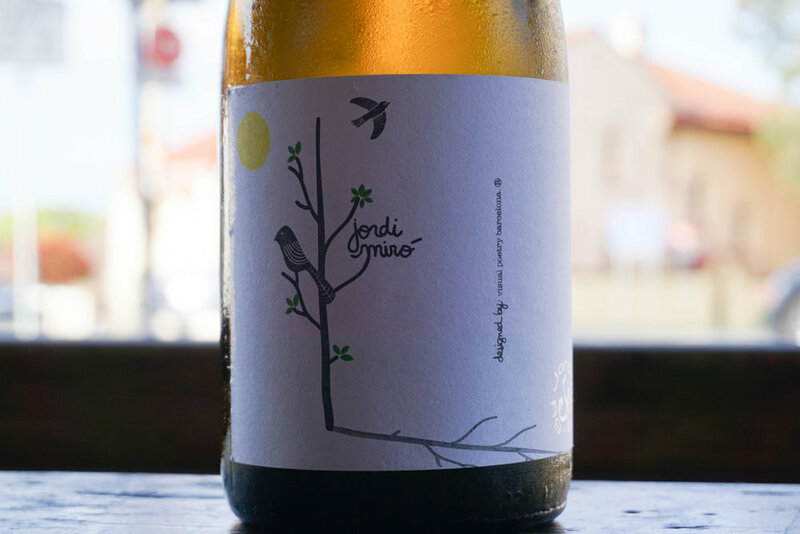 Steeped in tradition, his family have been growing in the region for generations - Jordi's maternal grandfather operated his own small winery while his paternal grandfather was a renowned grafter and cultivator in the region. Jordi planted his own vines in 1999 of approx 5Ha, they lie within the Terres de l'Ebre Biosphere Reserve on calcareous soils. Organically farmed and dry grown with zero compromise, against the use of chemicals, instead, he fertilises with the composted vine cuttings and grass from his vineyard and surrounding property. More of Jordi's Terra Alta DO wines are due to land soon along with some gnarly Priorat DOCa expressions he is proudly apart of. Brick by brick, Jordi began to build his own winery in 2009 during his free time. Today, Jordi experiments to create innovative new wines and styles. He employs spontaneous ferments with indigenous yeasts, without finings and the occasional coarse filtration. Minimal - to - no use of sulphur below 40 mg/l showcasing living wines of place and purpose. A one-man-band; he prunes, ploughs, thins the vines, harvests, ferments, cleans vats and bottles his wines by hand. Jordi's main passion lies amidst the fruit in the vineyard where his philosophy focuses on terroir, maximising care and attention towards his environment, minimising influence in the winery and vinification. Hand harvested from dry grown vines on calcareous soils at 784m elevation, destemmed, crushed and left to macerate on skins for 24 hours. 90% is pressed straight to innox tanks and the remaining 10% to new 300L French Oak for 4 months. Racked at bottling, the final blend is 94% from stainless steel and the remaining 6% from barrel creating a textural and complex white, typical winemaking from times of old met head first with a little new age know how. Light hazy gold. Mineral-accented pear, yellow plum and tangerine scents, joined by an emerging hint of leesiness. Plump and supple in the mouth, ripe orchard and pit fruit flavours that show a hint of back end warmth. Newer PostIntroducing...The Athletes of Wine! Older PostTrade Day Tasting @ Buffalo Dining Club!